Stop. Because I’m Crying Again. What a twist, what a change of heart, what a positive message after all! 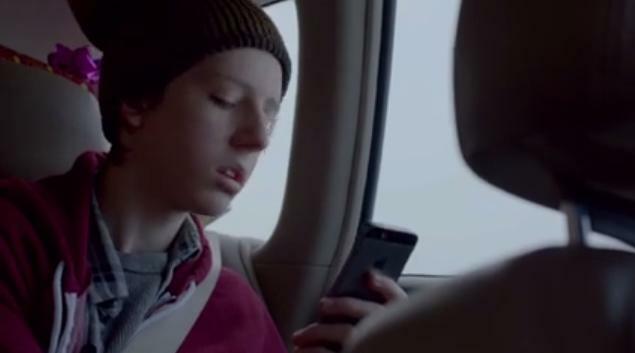 I truly hope that you were able to experience this commercial, a true-meaning-of-Christmas gift from Apple. A teenager, seemingly glued to his phone, seemingly bored out of his mind by this family Christmas gathering, is in fact creating a most marvelous gift to celebrate the love he gets and gives, but, at this awkward age, just can’t express (I’m tearing up now just thinking about it – are you?). My 20-year-old daughter, infinitely better at snark than sentiment, stops everything to watch this commercial. She sits in a veil of tears and exclaims, “Look how he really loves his family! It’s so beautiful!” Her friends, a lovely, lively but logical bunch, also stop and watch and sigh and cry. My husband murmurs, “Well, isn’t that nice?” My whole family room is awash in happy tears when this commercial airs. Apple has hit the goldmine of marketing here. They have bonded the product with the audience, they have shown its benefits and they have made you want an iPhone, so you can make such an incredible gift yourself. There are only smiles here, only positive associations, only warm, happy feelings, an affirmation that Apple can make your life better. With all this embedded in our psyches, I’m thinking Apple will have a very happy new year. Hoping YOU have a very happy new year too!